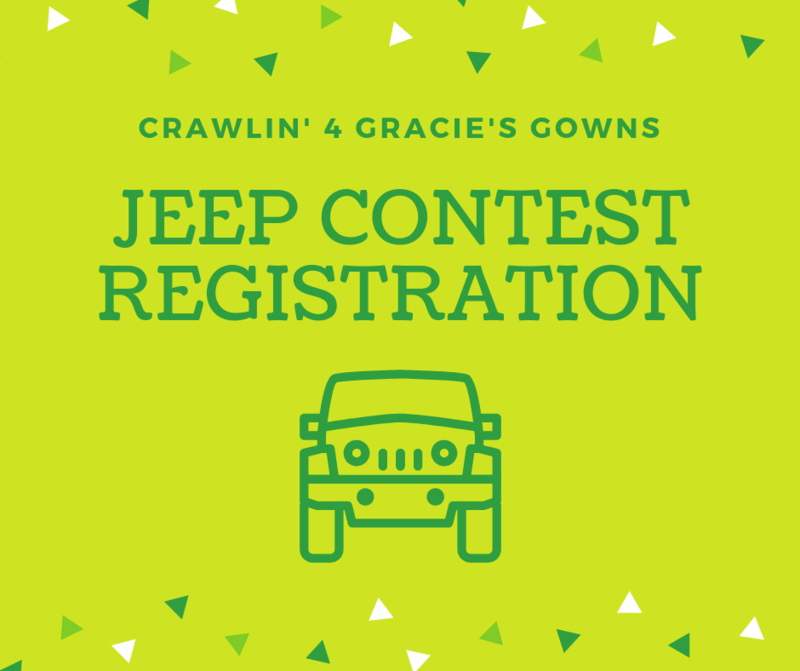 Crawlin' for Gracie's Gowns is a charity Jeep Show and Shine and we are honored to be the recipient of the funds raised throughout the day of the event! This is a FREE to the public event that can be enjoyed by all ages with lots to see and do throughout the day! 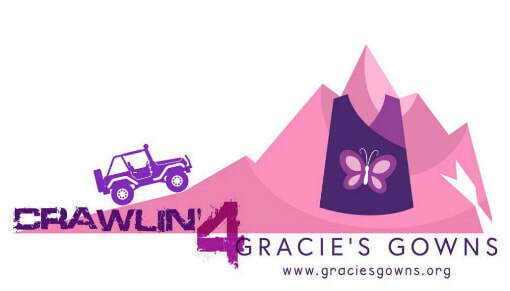 Crawlin' 4 Gracie's Gowns is centered around a Jeep show and shine for Jeepers throughout the region. The event will feature a contest with prizes donated by our sponsors given to one winner in each of our six categories: Oldest, Most Modified, Best Stock, Cleanest, Dirtiest, and Best in Show. Each winner will also be given a unique plaque made by children who have received gowns from our organization. Event sponsors are needed to help cover costs to make this event successful in raising money for Gracie's Gowns! There are multiple levels and ways to sponsor our event, please contact jessica@graciesgowns.org for more information on becoming a business sponsor! This year we have added a truck show and contest as well. The event will feature a contest with prizes donated by our sponsors given to one winner in each of our six categories: Oldest, Most Modified, Best Stock, Cleanest, Dirtiest, and Best in Show. Each winner will also be given a unique plaque made by children who have received gowns from our organization. We are currently accepting vendor applications for the event from small businesses, direct sales representatives, and crafters alike. We currently have approximately 25-30 vendor spots available. They are first come, first serve with application and payment due to secure your place. No repeats of companies allowed, and only one spot per person.